We need to process a growing amount of images and media messages every single day: from news, advertisements and art to everything in between. In order to digest, our brains need to distinguish the personal relevance at an increasing pace and frequency. This mental filter, which for the larger part has been developed unconsciously, shuts out undesirable impressions that have been deemed irrelevant. This filter is in fact a form of ‘’personal information management”. In response visual artists of all sorts are developing strategies and techniques to break through the filter and make contact with today’s audience. The results vary from immersion tactics to the utter opposite: minimalism. Under the consolidating theme “EXPERIENCE”, curators Bas Vroege and Frits Gierstberg have brought together developments in widely divergent fields such as sculpting, photography, film, television, entertainment, graphic design, advertising and marketing. Communication agency KesselsKramer developed a concept that has a surprising link to the theme ‘’EXPERIENCE”. There are hardly to nil visuals, extracts of texts refer to images that can be seen in the expositions. The underlying thought is that to fully experience them, you need to go and see the FBR in person. At the same time the campaign itself, consisting of posters and ads, is an indirect answer to the present visual profusion. Artmiks [image builders] developed FBR’s web site (www.fbr.nl), based on the same communication concept. Born on June 2, 1959 in Sittard, the Netherlands, she studied at the Rietveld Academie in Amsterdam. Her early work, Beach Portraits (1992–1994), is a seminal series of full-color, life-sized photographs of young teenagers in bathing suits taken on both American and European beaches. The project was shown in 1997 at The Museum of Modern Art in New York, bringing the artist widespread attention and critical acclaim. 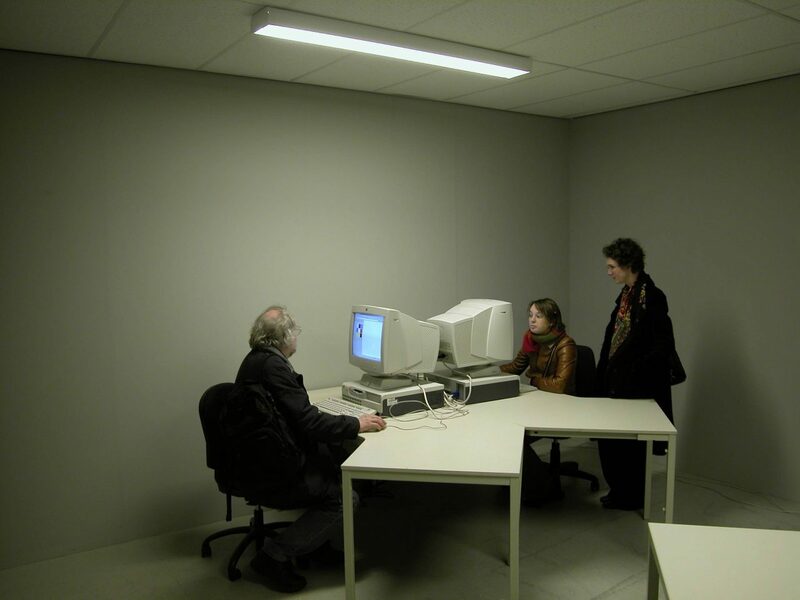 Dijkstra has also worked in video, such as her filmed portraits of dancing teenagers in her work The Buzzclub, Liverpool, UK/Mysteryworld, Zaandam, NL (1996–1997). She has been the subject of numerous solo exhibitions, notably including “Rineke Dijkstra: A Retrospective” shown at both the San Francisco Museum of Modern Art and New York’s Solomon R. Guggenheim Museum in 2012. She was awarded an Honorary Fellowship of the Royal Photographic Society in 2012. Media artist Geert Mul has been exploring for almost 20 years the possibilities of generating visual poetry by re-combining images from collections and databases in video’s, photographs, installations and audio-visual performances. In both digital and analogue works Mul explores the possibilities of a data-based mediation: the moment when a meaninglessness collection of data turns into something meaningful. ‘Meaning’ in Muls works is not based on logic, the works are essentially based on correlation, association, connotation and speculation. Mul regards his works foremost as a form of poetry; a creative play with a data-based language. Mul produced over fifteen commissioned art installations and he has performed and exhibited his works in the Museum Boijmans van Beuningen Rotterdam, Stedelijk Museum Amsterdam, The National Museum of Modern Art Kyoto Japan, Museo Nacional Reina Sofia Madrid, National Gallery of Modern Art New Delhi India, Institute Valencia Arte Moderne, Witte de With Rotterdam, Museum of contemporary Art Chicago, the International Biennial Turijn and Ruhr European Capital of Culture 2010. 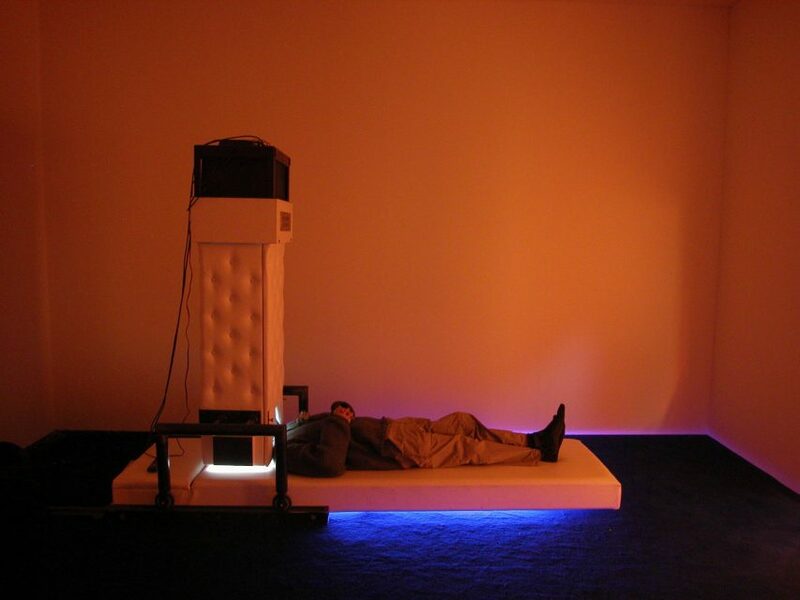 In 2010 Geert Mul received the Dutch Witteveen+Bos Art & Technology Award for his oeuvre. Geert Mul is represented by gallery Ron Mandos Amsterdam Holland. (b. 1954) is a German photographer. He trained at the DüsseldorfAcademy (1973–80). Bernd and Hilla Becher's direct documentary images of the industrial landscape, constructed through strict visual procedures, had a strong influence on Struth's later methodology. His first exhibited works were black-and-white images of streets in Japan, Europe and America, highly constructed and carefully framed images that recall the topographical vistas of Paris by the 19th-century photographers Eugène Atget and Charles Marville. These works communicate what is both specific and yet unremarkable about urban space and raise questions about objectivity – Sachlichkeit – in photography. In the mid-1980s, after a period of collaboration with the psychoanalyst Ingo Hartmann studying family snapshots, Struth embarked on a series of portraits of individuals and family groups, using the same type of large-format view camera that he had used for his architectural work. These works were again highly constructed, urbane portraits, showing character but not revealing personality. Through his work with portraiture, Struth developed an interest in Renaissance painting, which eventually led to the series of photographs for which he is best known, the Museum Photographs. In 1993 Struth became a professor of photography at the Staatliche Hochschule für Gestaltung, Karlsruhe. Born in 1971 in Denmark, Sofie Thorsen lives and works in Vienna. A graduate of the Academy of Fine Arts in Vienna and the Royal Danish Academy of Fine Arts in Copenhagen, she has shown her work internationally in numerous group and solo exhibitions. She held a teaching position at the Academy of Fine Arts in Vienna from 2005 to 2009. 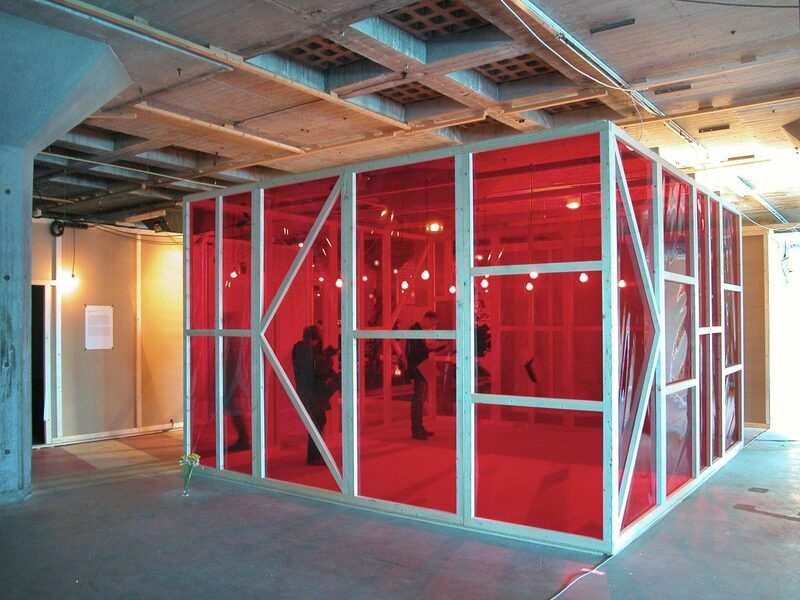 Her mostly installation-based work is dedicated to questions of perception, space, and the architectural object. Peter Tscherkassky (b. 1958) is an Austrian avant-garde filmmaker who works primarily with found footage. All of his work is done with film and heavily edited in the darkroom, rather than relying on recent advances in digital film. Bill Viola (b. 1951) is internationally recognized as one of today’s leading artists. He has been instrumental in the establishment of video as a vital form of contemporary art, and in so doing has helped to greatly expand its scope in terms of technology, content, and historical reach. For 40 years he has created videotapes, architectural video installations, sound environments, electronic music performances, flat panel video pieces, and works for television broadcast. Viola’s video installations—total environments that envelop the viewer in image and sound—employ state-of-the-art technologies and are distinguished by their precision and direct simplicity. They are shown in museums and galleries worldwide and are found in many distinguished collections. His single channel videotapes have been widely broadcast and presented cinematically, while his writings have been extensively published, and translated for international readers. Viola uses video to explore the phenomena of sense perception as an avenue to self-knowledge. His works focus on universal human experiences—birth, death, the unfolding of consciousness—and have roots in both Eastern and Western art as well as spiritual traditions, including Zen Buddhism, Islamic Sufism, and Christian mysticism. Using the inner language of subjective thoughts and collective memories, his videos communicate to a wide audience, allowing viewers to experience the work directly, and in their own personal way. Heidi Vogels (b. 1978) studied Fine Arts at the Gerrit Rietveld Academy in Amsterdam. In her work and projects she applies photography, film and other forms of research by seeking to redefine our outlook on our day-to-day reality and surroundings. By engaging in projects within a certain place or context for a longer period of time (sometimes years), she constructs an intimate ‘world’ of relations between thought, encounters and situations. Rooted in a solid conceptual basis, her work consist of multi-layered stories that take different form according to each place, context and audience that often develop in collaborations in the related domains of cinema and theory. Currently she is working in the final stages of the documentary film GARDENSOFFEZ and pursues further steps in her research to open up the garden as a productive concept. Over the years Vogels developed research based projects in Berlin (Traumgarten), Barcelona (Borrowed View series), Terrassa (Wall, Ceiling, Blanket, Dress, Rehearsal), Seoul (Narrating Melancholy), in the Netherlands (Garden Perspectives, Folding Landscapes) and in Morocco (GARDENSOFFEZ). Recently she co-directed and developed Cracking The Frame Presents, a program of screenings, talks and events investigating the connections between documentary film and visual arts. Erik Wesselo (b. 1964) is a conceptual Dutch artist whose work encompasses performances, videos, photographs and drawings. He earned early recognition with his bold performances, which involved setting his own hair on fire and getting the words "LOVE" tattooed on his hand. Comparably bold, if less in a physical way, he performed a public karaoke to his favorite songs. The video "Düffels Möll" (1997) shows the artist attached to the turning wing of a typical Dutch windmill. Nature plays an important role in the artist's work. In 2002 Wesselo sent a group of Polaroid's of nature to sing/songwriter Will Oldham who then composed song on the images (Forest Time, 2002, LP and book, available through the gallery). The most important ingredient of Wesselo's work is time. All of his films are carefully edited in terms of duration, speed and movement. Slow motion and extensive duration forces the spectator to stop and watch. Repetitious movement brings a meditative stillness to the works. Wesselo proves to be a master of timing and dramatic effect. Virtuously playing with the spectator's expectancy and patience his narrations unravel graciously, without haste. Johann Zambryski (b. 1956) is a German photographer and graphic designer.